What a week! In the February half-term holiday we took a group of over 50 wonderful young people, 15 amazing young leaders, and 18 brave, crazy and soon-to-be sleep-deprived adults for a fantastic week at Quinta Hall near Oswestry – it seems we also took the nice weather away with us as we heard rumour that everyone at home was left with rain! Our week was Murder Mystery themed; The Groovy Giraffes, Party Parrots, Mad Monkeys and Ste-Rexes were shocked and horrified to find out that shortly after they arrived on Monday there had been a murder – but the body had disappeared, the murderer had escaped and there was no sign of a murder weapon either; and so, the murder mystery began. The mornings of each day were filled with activities planned by the Melt Young Leaders on the murder mystery theme, and as the days passed the teams pieced together more facts about the incident that had taken place earlier in the week. Points were given for highest achievements, teams were commended for great team work and communication skills, and each night a Detective of the Day was announced from each team. The team in the lead throughout the week were pipped to the post on the final day as points were tallied up and the winning team was announced as the Red Team, the Mad Monkeys, with their trusty mascot Nigel. 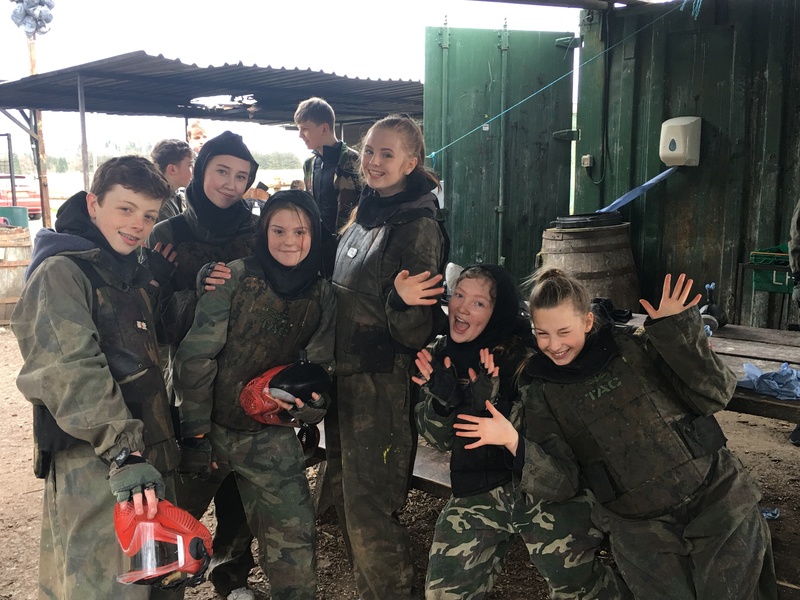 The afternoons were filled with a variety of optional activities, some off-site, and some on-site, with each day holding something different; these included paintballing, manhunt, bowling, Wii Sports, outdoor and indoor laser. Late-evenings brought swimming, water-polo, football and unihock. And if none of that appealed, just a chance to relax with your friends, chat, and recover from a busy day of activities. On Thursday we headed out on the usual trip to Chester to rid the shops of all their wares, whilst back at site the dining room was undertaking a transformation ahead of our delicious formal meal, which always brings great excitement. Every evening we all piled into the meeting room for The Mix – so called because it’s a mixture of things including the round-up of points from the day, a game, a short Bible talk and maybe a song. This year we enjoyed hearing Malcolm bring to life the story of Jonah, as we heard about God’s plan for us to live His way in His world. We journeyed with Jonah through running away from God and going against what God had told him to do, through a storm, into the belly of the whale, and along his experience of God being a God of second chances who shows grace after grace and wants the best for us. I had a great time, all the activities were amazing, the Melt Leaders worked hard to create an amazing week. Quinta was amazing and this was my favourite year so far. Well done to all the staff and Melt. I love the week away and I look forward to it each year. 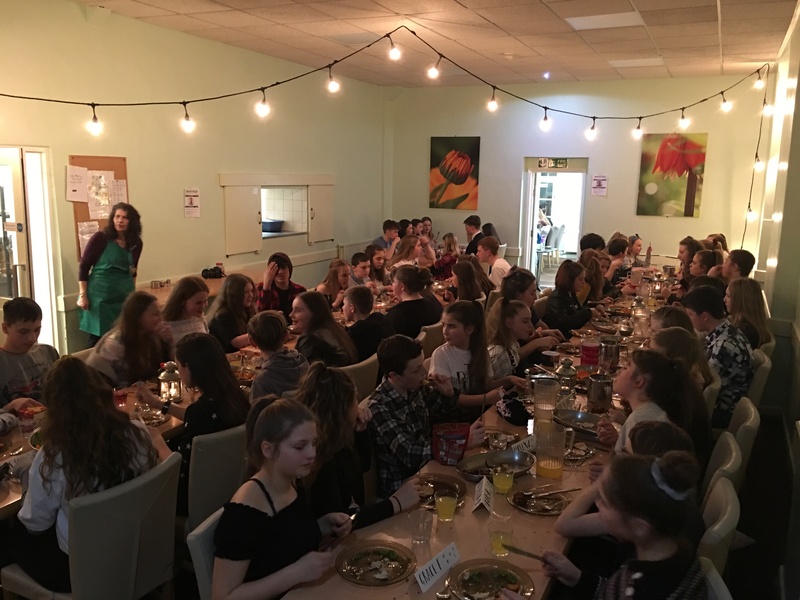 We rounded off the week in style with a talent show, with fantastic musical performances and hilarious comedy acts, and of course the Melt Dance, all of which brought the house down with the applause and support they received from the audience, and made for a brilliant end to a fun-filled week. Well done our incredible Melt Young Leaders, who lead all the morning activities and a huge thanks to our dreamy volunteers, without whom Quinta wouldn’t be the fantastic week that it is. We are so blessed to have had the old faithfuls back with us again this year; Freya and Dylan leading the Melt Programme (who were there for a whole week whilst the rest of us only joined for 5 days! ), Nan and Grandad (Ian and Joyce), Anna, Kitchen Guru Heidi and The Dishwashing Machine Steve. Mr and Mrs Wolf (Wilf and Julie) and Lisa came away with us for the first time and we were thrilled to have them! It’s an incredible joy to have volunteers come away with us that have been through the Project and Melt programme themselves; Pete, Dan, Joe and Catherine – you guys were invaluable, thank you SO much. Quinta was amazing and really fun this year. I loved the teams and how nice the Melt Leaders were. I wouldn’t change anything because it is all an amazing experience. We produced a video each day whilst we were away, if you want to have a better idea of what we’ve been up to, check them out here!